It’s that time of year again - the shortest day of the year is on its way and western culture has long celebrated this event with the tradition of gift giving. Whether you’re a Kwanza, Festivus, Hanukkah or even Christmas fan, giving the coolest gift means you can finish the year as a total legend! We’ve grouped types of people into five different categories and come up with unique but inexpensive gifts that will show just how deeply you care about the intended recipient. A globe is a magical matchmaking device and if you get a lighted one - try turning the lights down and add a touch of romance to the room. Of course a globe isn’t just for romantics, they’re great for anybody who’s ever left the country. When you think that as late as 2016 only 36% of Americans had a passport, it’s a safe bet that your traveler type is going to be stoked to receive such a thoughtful gift. Casa Victoria always has a great selection going from as little as $49 up to the De Luxe $299. If this was the 50’s, hell even the 60’s we’d be looking at anybody you know who smokes but this LA in the 21st century - smokers are hard to come by so who the hell wants an Ashtray? Well - if you do know someone who still smokes - this is an awesome gift! However, for the rest of us who actually like living, here’s where you can get creative. You know those people who take the time to dress well, who are perhaps a little flamboyant, who love fashion and like to surround themselves with beauty - you know what they need? They need a candy holder, an almond dispenser, somewhere to deposit their keys, a place to put their pins. Yes - this is 2017 and re-purpose things! We’re talking vintage Murano glass in fabulous fifties colors of pink, green, turquoise and gold, we’re talking intricate designs with bubbles and gold leaf and of course we’re talking weight. These are no thin mass produced factory items, these are solid, hefty handmade pieces of art and any glamour puss on your list is going to be stoked. From $40 to $100 you can find a wide selection in the store. We love readers, without readers how could we tell you about the beautiful things we have to offer - but we’re not talking about the average reader here - the person who probably reads on a Kindle. We’re talking about book lovers - you know - the person who has 4 book cases in their garage and who steadfastly refuses to give any away. You know who we’re talking about. 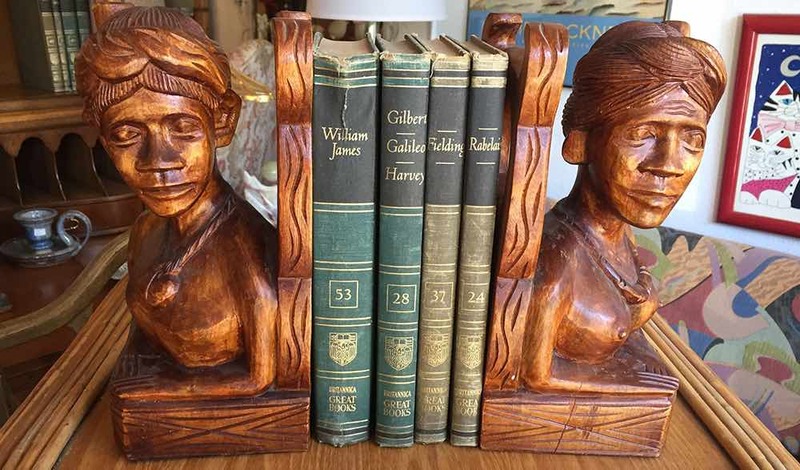 And for all of you thinking you can just pick up a lame version from Target or JC Penney remember that these are Vintage bookends. They’re hand produced, hand painted, we have some beautiful ones from Italy with hand carved Venetian leather. With the bookends themselves running from $40 up to $100 you could of course go that extra mile and drop in a gift card to the local Barnes and Noble! Killing it here! An oxymoron you say? How can Call of Duty, the SIMS or even World Of Warcraft have anything to do with Vintage? Well, we’d posit that they have everything to do with vintage - do you think your spouse's behavior spending hours glued in front of a screen is new to just this era? Hell no, back in the day it wasn’t video games, it was just games - the classics like Mancala, Mahjong, Checkers and of course the legendary Chess. 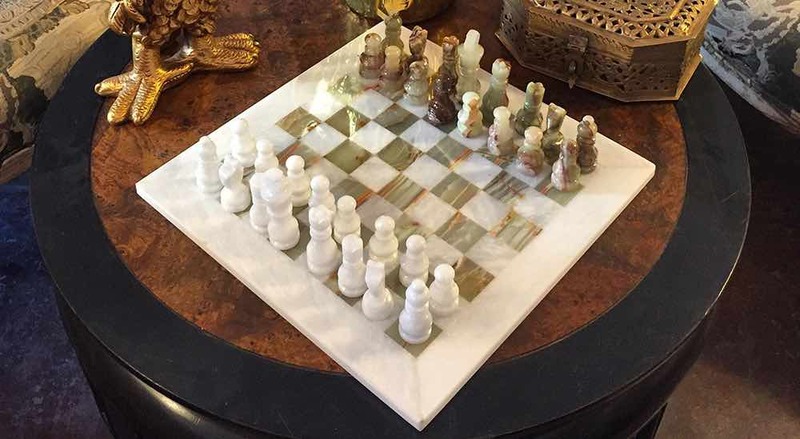 Again - these are not flimsy things that you might pick up in a Toys R Us - these are solid, heavy boards with multi-colored marble inlaid squares, the pieces are hand carved from solid onyx and made by master artisans in Pakistan. Selling for $169 a set this gift will last a lot longer than your favorite gamer’s favorite character. Creating is hard - doesn’t matter whether you’re a painter, a writer or a musician - creation is work and creative types need downtime just like anybody else. The problem comes when they’ve been so busy coming up with new ideas for work it leaves them bereft when thinking about their own environment. This is where you can become not only a great gift giver but a merciful one too. 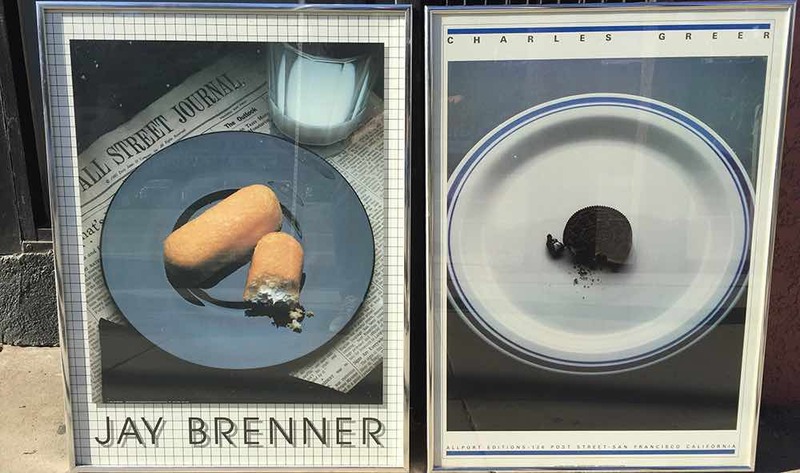 While some people will pop down to Michael's or Target and browse the poster racks for some mass produced graphic for $50 - you go to Casa Victoria and procure for them a piece of Vintage Gallery Art. Bring the Guggenheim into their living room, the Cincinnati ballet to their bedroom, give them a promotional poster for a small French gallery and bring a bit of Paris into their lives. These are museum produced quality prints and have just way more creativity and yes, class than your Hobby Lobby giving friends! With prices from $50 and up you can ease a creative mind oh and yes - these are great for that traveler type too - damn those people get everything! We’re open seven days a week between now and Christmas, the store opens at 11:00 am through 6:00 pm Monday through Saturday and Sunday 11:00 am to 5:00 pm. If you can’t get to the store, make sure you subscribe to our Instagram account - we post new arrivals daily and they’re often sold before we can get them on the sales floor. Happy Holidays from Casa Victoria! Sign up for our twice a month newsletter. We let you know about the hot new items we've received in the store and every now and then (like this article,) Mateo will write a longer piece on how you can use Vintage to improve your life!